I have this picture of my dog Poncho and his best friend Murphy hanging on my fridge. 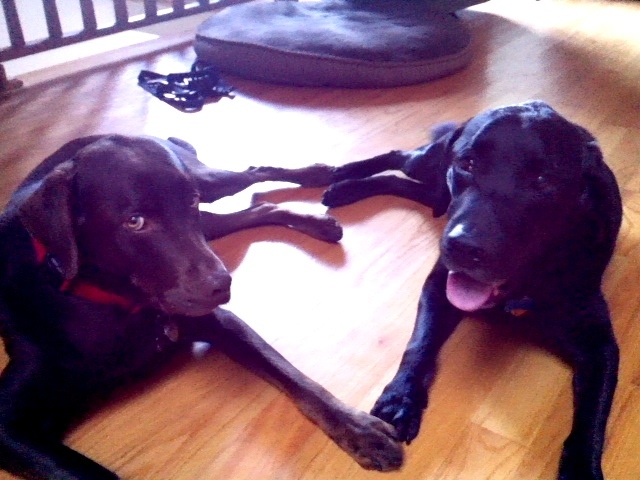 People always ask me how I got the dogs to pose in the heart shape. Watch this slideshow to find out how: How the Heart Photo Happened (it may take a few seconds to load).